These papers are perfect for making the Grandmother's Flower Garden quilt. Quilters pack a small kit and take them along on road trips, plane trips or even waiting rooms. 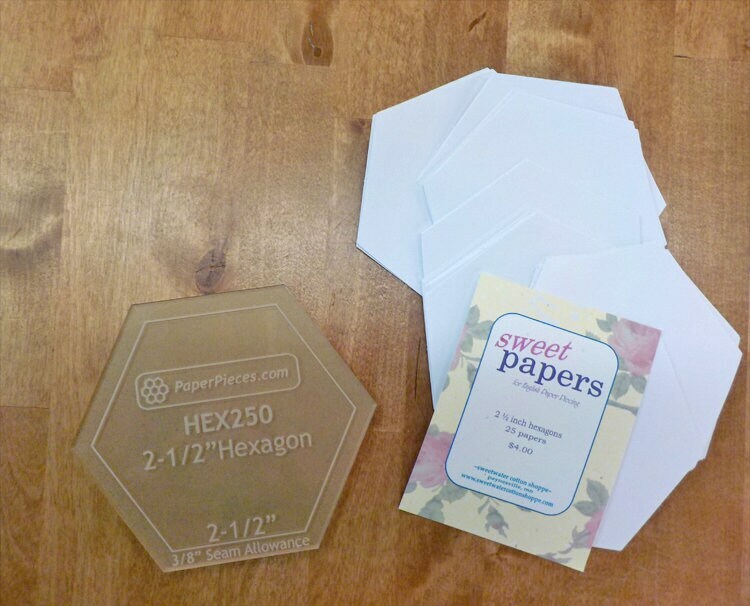 If you are planning on fussy cutting...nab the acrylic template.